Plus, at the end of your lease term, you’ll have the opportunity to renew your current lease or even upgrade to a more recent model. Browse our Honda CR-V lease specials today, and read on to learn more about the CR-V! $2,399 total due at signing. 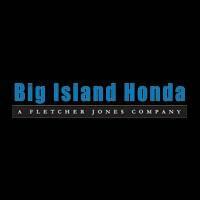 Why Shop from the Honda CR-V Lease Offers at Big Island Honda in Hilo & Kona? Our rotating selection of specials allow Big Island drivers to save big on the price of a Honda CR-V lease, and that’s just one of the reasons our loyal customers choose to lease with us. We eliminate any obstacle standing between you and this Honda crossover SUV! For more information on our CR-V lease prices or specials, simply contact us online or visit either of our locations today!